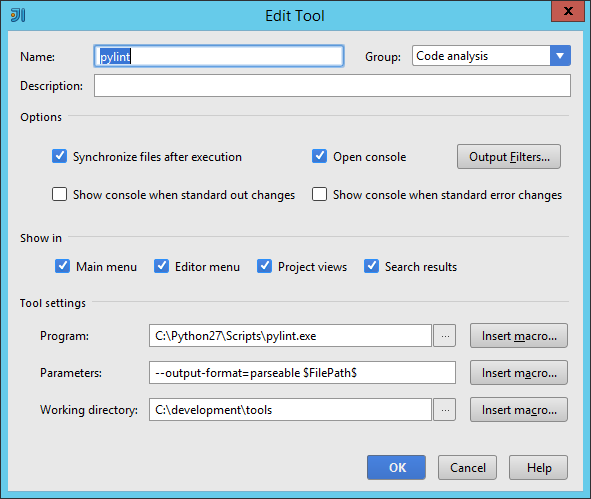 I was asked, if it’s possible to integrate pylint into JetBrains IntelliJ IDEA 14. After having a quick look at Google I found a blog post about the integration of pylint. The mentioned blog post references an older IntelliJ version and the author runs IntelliJ on Linux. 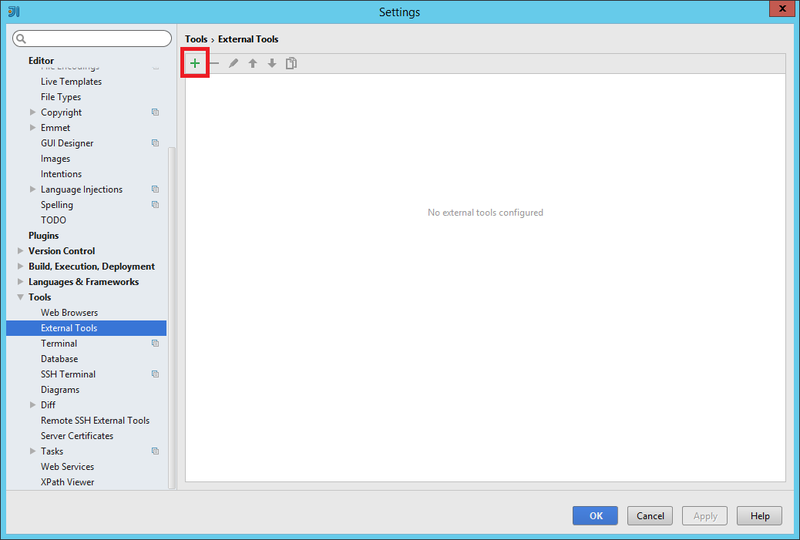 Because I run IntelliJ 14 on Windows I decided to shortly describe the configuration for this combination here. 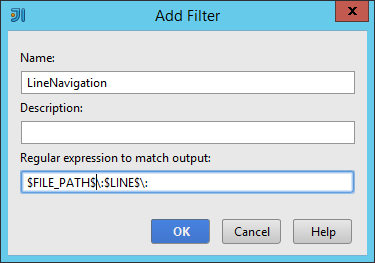 In tool settings section you have to add the path to your pylint.exe file to the programm textfield. Referencing pylint.bat won’t work. 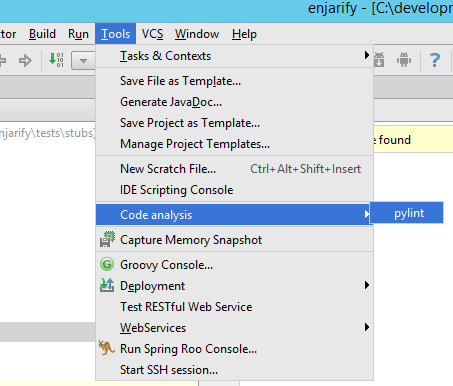 The result of the pylint code analysis will then be printed to the run console in IntelliJ.